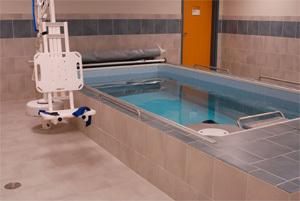 The Physical Therapy department at LCH is staffed with highly skilled and licensed therapists using the latest techniques in rehab. We take pride in providing a wide range of therapeutic services to our community as well as the surrounding area. We strive to help our patients reach their goals and return to their highest level of independence. We also offer Occupational and Speech Therapy services. Occupational Therapy is designed to restore or maintain a patient’s ability to perform tasks used in daily living, often through developing ways to modify or adapt activities. Daily living activities may include bathing, dressing, and cooking. Speech Therapy or speech language pathologists work with people who may have had voice disorders and people with swallowing disorders. We are fully staffed and ready to serve you with a Director of Physical Therapy, two Registered Physical Therapists, five Certified Physical Therapists and three Physical therapy Aides. Our many years of experience have paved the way in making our department know for the excellent care we provide. If you feel Physical Therapy could benefit you, see your health care provider to obtain a prescription. Your provider and physical therapists will work together to improve or restore your physical function. Our goal is to make your life easier. Physical therapy is a rehabilitation method that addressed the treatment, healing, and prevention of injuries and disabilities. We specialize in disorders of the musculoskeletal system as it pertains to physical movement. PT focuses on pain relief, promoting healing, and restoring function and movement associated with injury or illness. Other areas within physical therapy are body mechanics training, fitness/wellness, education, and prevention. Pediatric – Covers conditions affecting infants, children and adolescents. May include developmental, neuromuscular or skeletal disorders. Your initial evaluation will include a review of your medical history and your current problem with special tests conducted by a physical therapist to assess your condition. Based on the results of your evaluation, an individualized treatment plan will be devised for you. Treatments may include therapeutic exercise, ultrasound, electrical stimulation, traction and deep tissue oscillation to name a few options. Frequency of treatment generally ranges from 1 to 3 treatments per week with the duration ranging from 2 weeks to 2-3 months depending on your current condition. We strive to make you feel well cared for and we have fun in the process. Your satisfaction is our number one goal!